campaigns by providing access to discounted mailing services and advice on how to maximise the return on investment. Combining these discounts with full-service assistance in managing and implementing direct mail campaigns, a direct mail marketing campaign should combine various aspects that come together to form the final customer-ready product. From creative Print & Design teams providing the marketing materials required for your mail campaign to Database Cleansing service that saves you money by maintaining an up-to-date targeted database – ensuring money isn’t wasted targeting incorrect data. Direct mail postage discounts are available for small, medium, and large direct mail campaigns. 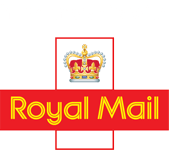 We have access to a range of discounted postal services for nationwide and international postage delivery. Personalised Direct Mail Campaigns – Are They Worth It? If you are considering a direct mail advertising campaign, ensure your finished product is produced professionally and on-brand. Often marketing materials for a variety of businesses looking to communicate directly and personally with their client base and customer are not tailored specifically to the needs of their campaign. Our direct mail marketing services take the hassle out of implementing a successful direct mail advertising campaign by providing everything needed to get the most out of print and mail advertising. Today’s fast-moving media landscape makes brand communication more competitive than it has ever been before. The variety of options available to contact your customer gives busy marketing departments the challenge of figuring out which option is going to be the most successful. At the heart of all of these different communications and advertising, platforms remain direct mail. Direct mail services still impact and affect consumers in a big way while producing a fantastic return on investment. Their research project, The Private Life of Mail, found several interesting and important facts about the validity of direct mail services. 39% of research participants have a place to display their mail in their home. This not only increases the chances of ensuring your mail is digested by the customer but also makes it visible to everyone in the household. reinforces the crucial importance of distributing a professionally designed and printed mailer. Emotional marketing impacts. 57% of participants claimed to feel more valued by receiving mail. Companies can benefit from this emotional response by using direct mail marketing services to bridge the gap between their brand and the consumer. Millennials and Direct Mail – Do Millennials Respond to Direct Marketing Services? With digital platforms quickly adopted by millennial and younger generations, it would be easy for a company with a younger demographic to brush-off the effectiveness of direct mail. Interestingly, research also suggests that millennials actually respond better to direct mail with only 15% ignoring their mail. The younger generation represents a powerful and emerging demographic of consumers looking to connect with brands. Direct mail services in the UK are one of the most effective forms of doing this by distancing your company from the constant stream of digital ads and media-noise this generation is exposed to online every day. Budget Direct Mail Services – How Much is Direct Mail Marketing? A successful direct marketing campaign should expect to receive purchase orders between 4% – 6% of the contacted data. Postage marketing experts tailor services around your budget and with our response management team assist you in fulfilling the response from your customers. Each UK direct mail marketing campaign service recognises the budget and size of each campaign. Our direct mailing experts help campaigns of all businesses maximise the impact and success of their direct marketing campaign. Make a big impact with your next marketing campaign by contacting Mailing Expert’s today to discuss how our mail agency and direct mail services will drive growth, increase brand loyalty and awareness, and boost your marketing budget’s return on investment. Our diverse team successfully implements advertising campaigns for various clients looking to benefit from the emotional connection that printed mail creates between them and their customer. With our direct mail printing services, we can also provide a range of professionally designed business cards, signage, and letterheads. Tailoring personalised marketing materials and information is the key to planning a successful direct mail marketing campaign. Here at Mailing Expert, we can help create the best physical mail marketing materials for a range of services. You can also explore our range of bulk postage discounts to save even more money on your next postage marketing campaign. We can advise you on saving money on multiple marketing campaigns targeting segmented databases, helping your busy marketing department save time, effort, and money. Contact a member of our team today to find out more.